Supplier & Distributor of Material Handling Conveyor. 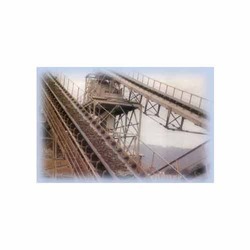 Our product range also comprises of Coal Handling Plant, Food handling Conveyors and Roller Conveyor. These Material Handling Conveyer is sophisticated in design and which are easy to operate. We manufacture and supply material handling conveyers to our customers at competitive range. These conveyers have silent features such as durable, highly capable and long lasting service. These conveyers can be availed from us at market price. These conveyers provide smooth operation without any trouble.